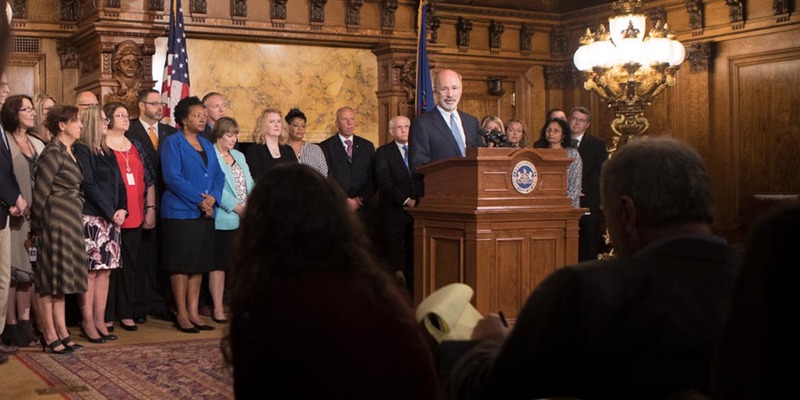 HARRISBURG, Pa., (EYT) – Governor Tom Wolf today backed Marsy’s Law, which proposes a state constitutional amendment securing permanent, enforceable rights of victims. The proposed amendment stipulates that there be notice of hearings and other proceedings, protection from the accused, notice of release or escape, full and timely restitution, proceedings free from delays and with a prompt conclusion, the ability to confer with the government’s attorney and information on all of these rights. The Senate recently advanced Senate Bill 1011 unanimously and sent it to the House. The bill is also supported by Pennsylvania’s Office of Victim Advocate and the Pennsylvania District Attorneys Association. Governor Wolf also announced that the Capitol building in Harrisburg will be lit purple in honor for Crime Victims’ Rights Week.